After not even a year and a half at my current home I am considering moving houses, yet again. A new job and some unexpected changes at my current place have forced me into considering this again. 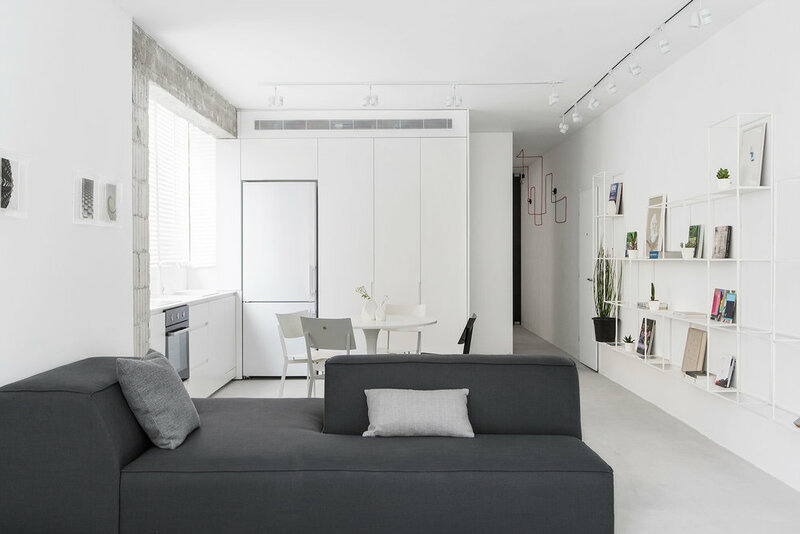 In the midst of this decision I came across this small two bedroom apartment in Tel Aviv, a renovation by architect Amir Navon together with interior designers Yael Perry and Dafna Gravisnky. Clean lines, decluttered and very functional, is all I could be asking for if only London's property market was not as crazy as it is. One can only day dream, for now.